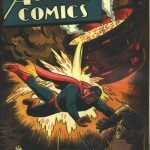 The highly anticipated ComicLink Featured Auction ended Thursday March 8th. There were almost 2,000 choice juicy comics up for grabs and there were some stunning results? For a while I was contemplating all those Four Color Barks Ducks, they seemed cheap enough but in the end I backed away. There was a lot of Good Girl Art covers on this auction, look for that trend to continue in future big auctions. And hey what about that Amazing Fantasy #15 CGC 5.0 and Hulk #1 CGC 5.0, they book look stagnant right now but I would not count those big boys out long term. OK let’s dive into a few results. Fantastic Four #1, Marvel Comics, November 1961 Graded by CGC at 8.0 with Off White pages sold for $76,000. Maybe the most anticipated result of this auction and it didn’t disappoint. My guess was $60k on this book, boy was I off. It’s a great result for the hobby and it’s also a great result for the buyer, I think this copy has lots more room to appreciate. 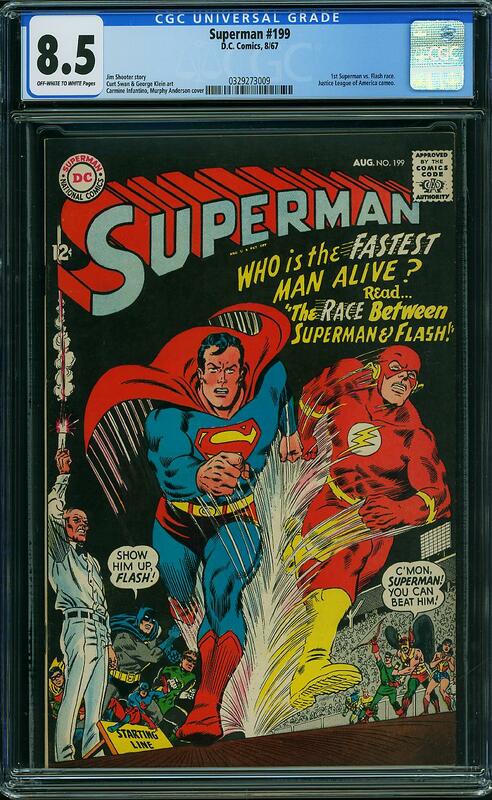 Superman #199, DC Comics, August 1967 Graded by CGC at 8.5 with Off White to White pages sold for $935. Amazing Spider-Man #1 (2015), Marvel Comics, 2015 Graded by CGC at 9.8 Signature Series with White pages sold for $3,309. I’m not even sure this book belongs in the comic book section, isn’t this really a sketch and thus a work of art? At any rate it was in among the comics most likely correctly and it went for a steep price. 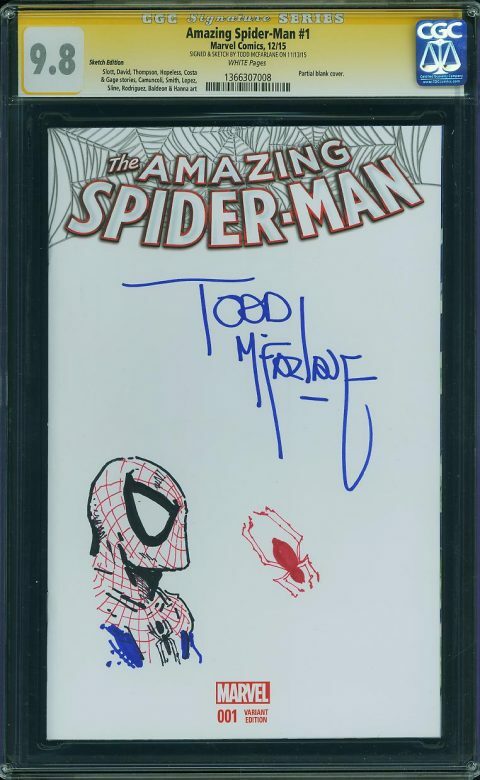 I’m going to show my ignorance here but I think the price is too much for the artwork because I know Todd’s Sig Series comics get nowhere near this amount. 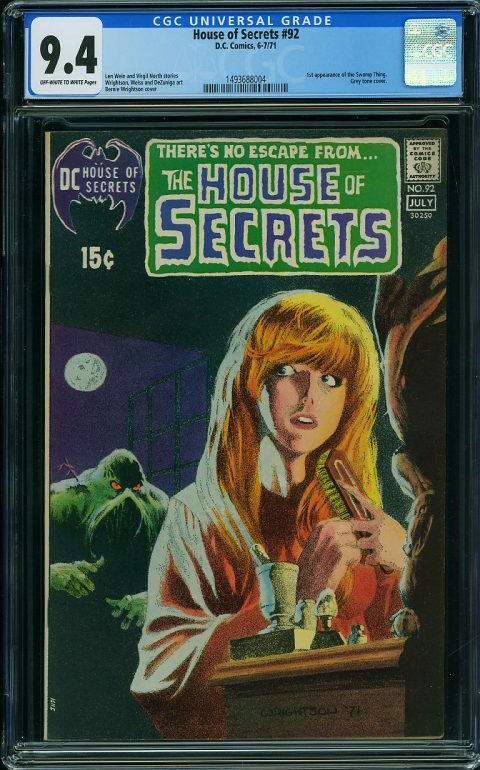 House of Secrets #92, DC Comics, July 1971 Graded by CGC at 9.4 with Off White to White pages sold for $5,400.00. It was fun to watch that CGC 9.8 House #92 go for $44,999 and I won’t even attempt to make a call on it but I really liked the result for this tight CGC 9.4 copy, this is a good looking book. This is a good pick up, scarcity of grade, major artist, major 1st appearance and beyond iconic cover makes this a book to have, I wish I went after this one. 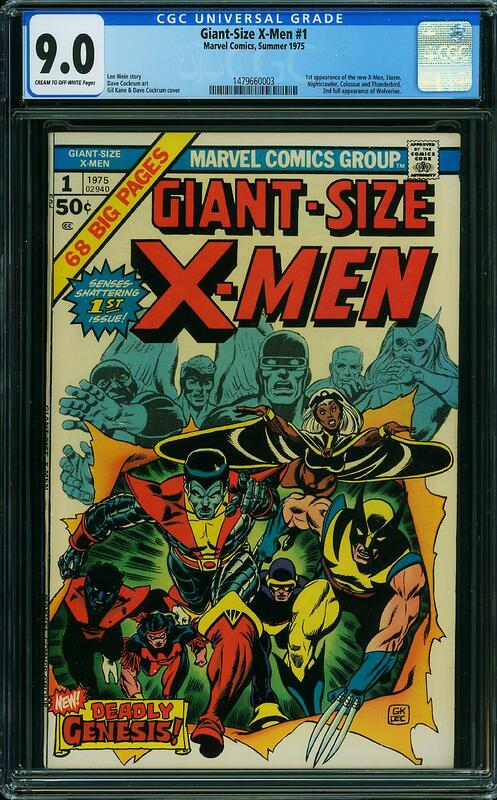 Giant Size X-Men #1, Marvel Comics, Summer 1975 Graded by CGC at 9.0 with Cream to Off White pages sold for $1,434.00. I’m sorry but this book is too plentiful to pay this much for a Cream to Off White 9.0, the cover has that yellowing look to it too. 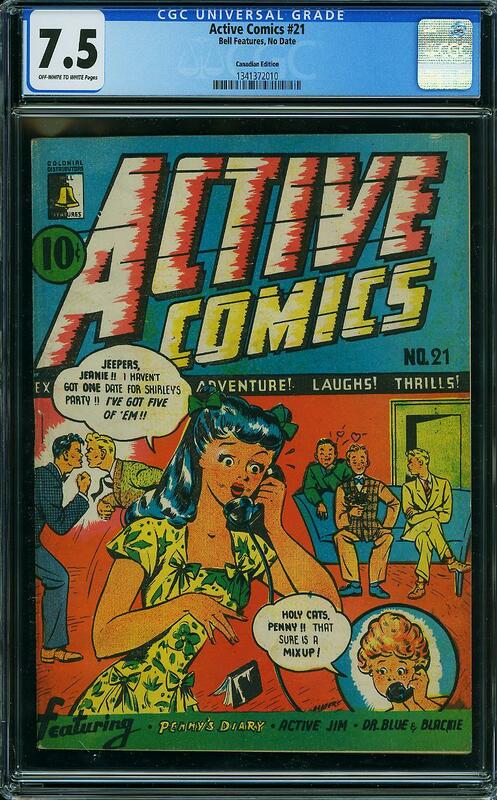 Active Comics #21, Bell Features, February – March 1945 Graded by CGC at 7.5 with Off White to White pages sold for $1,210.00. 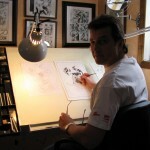 The CGC label says “No Date” but who needs a CGC label when you have Ivan Kocmarek! 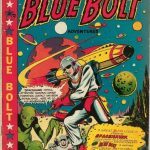 I checked over on canadasowncomics.com and saw that Ivan has posted tons of info on this book. This book has Shuster Award winner Doris Slater’s only comic cover and it’s a great cover. There are simply not enough Canadian Whites coming to market and it was nice to see the two that were offered up on this auction get snapped up at healthy prices. These books are beyond scarce. 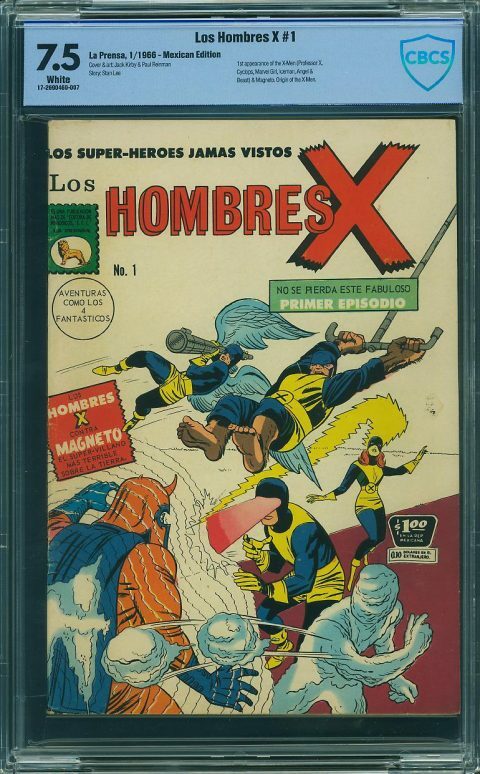 Los Hombres X, 1966 Graded by CBCS at 7.5 with White pages sold for $1,127.00. Hey! This is cool but I’m not sure what to make of it. Anybody have any insights? So? Any opinions on what went down? You pick up anything ? $60k for an 8.0 FF#1 would have been a huge leap, but a fair estimate considering what the last 7.5 received. The final result of $76k seems insane by comparison until you look at what 9.0’s are getting. 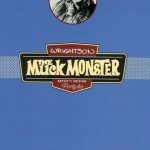 In the context of scale, logic suggests that Walter is indeed correct, and the advantage is with the buyer despite being the highest recorded payout for an 8.0. “they book”, “Silver Ave”? Walt, you can wait until morning to post these, only Charlie and I are reading them at 1am after the close. My input on the FF #1 is indeed advantage buyer, because if you can afford to shell out $76k for one book you sure have advantages. As far as the price level, I think it is a big gamble. While I don’t question the importance of FF #1 in the history of comics, it doesn’t appear to me that the marketplace values that proportionately. If Disney can turn the FF into a preeminent property, then perhaps. But I think the edge will always go to single characters (Batman, Spider-Man) over teams. 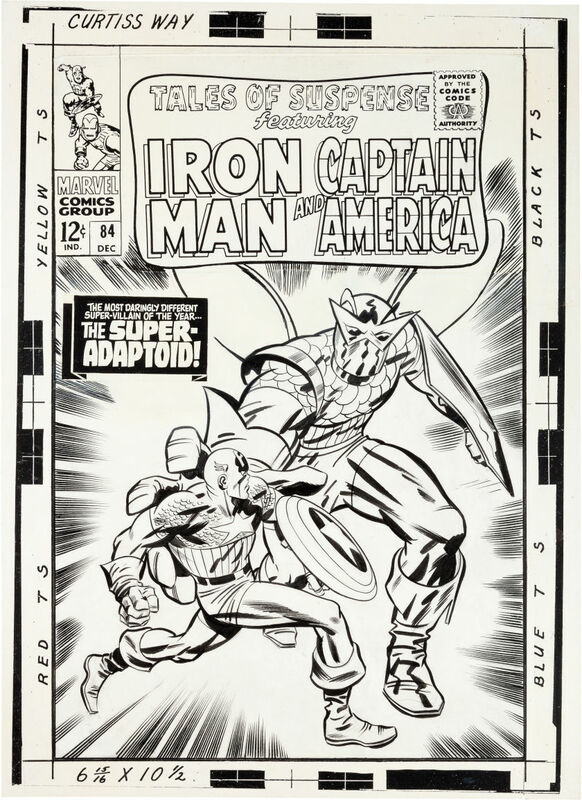 (Avengers #1 7.5 sold at the 2013 price in this auction.) So I would be betting my big money on iconic first appearances of single characters that look to grow in the popular culture. I need somebody to scrape the scales from my eyes about House of Secrets #92. This feels like a Bitcoin book to me, with people chasing it because people are chasing it. For the price above I could maybe get a Detective #359 9.0 with cash left over, comparable scarcity. I just don’t get it. Of course, if you buy the recent crazy spikes in this book, the 9.4 for 5.4k was “good value”. I think that the GSXM #1 was on-market on its basics, but I agree that I would not want that one for that price. I continue to be surprised how little appearance impacts many books. This is in line with my Bitcoin comment – with grading and slabbing, the uniqueness of each book is suppressed, and people are largely going on issue number and grade number (then giving “white pages” a premium). But in this case, as GSXM #1 is plentiful, why not just wait for one with better eye appeal, since there surely will be one offered soon (actually there is an ow-w on eBay right now). Overall there was no “must have” or “really wish I could have” book for me in this auction. (Of course within reason – I do really wish that I could have the Detective #31, for example). The closest was Torchy #5 9.0 (driven in part by Walt’s Undervalued call). I was willing to go to about $1.6k for this book, but I just couldn’t push higher as there are a few in this grade/higher, and lower grades indicate even $1.6k is rich. I continue to be amazed by what people will pay for obscure horror books that are unquestionably rare in grade. 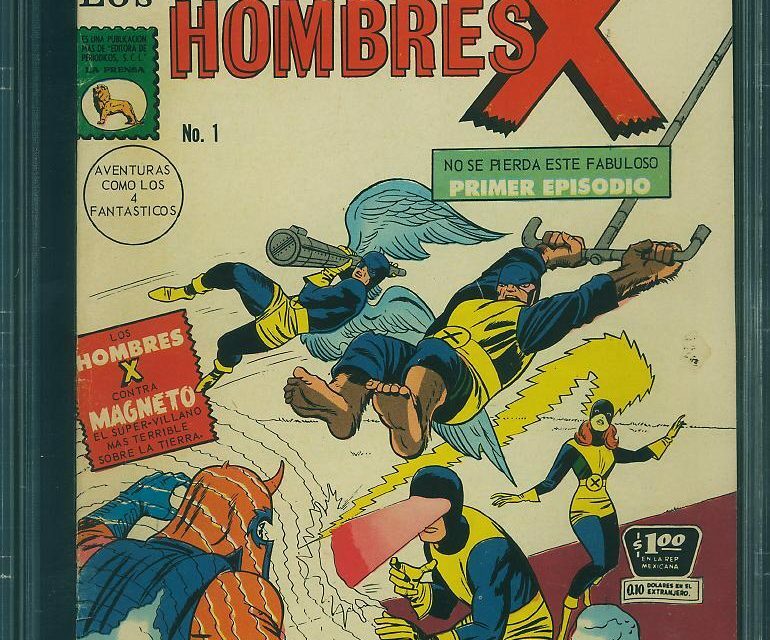 While each particularly high grade issue is rare, in aggregate the type of book is not, and as there is no continuity, there is no concept of “key” except for certain covers. So as the number of these huge run-ups on books with skulls, skeletons or zombies on the cover piles up, I think at some point these might suffer the “run book” curse. Also it seems that Matt Baker-mania is starting to eclipse Joker-mania. Teen-Age Romances #39 7.0 for $3.4k, the cover looks like an ad for jeans or something. That price might get you a Phantom Lady #18 7.0. Come on. 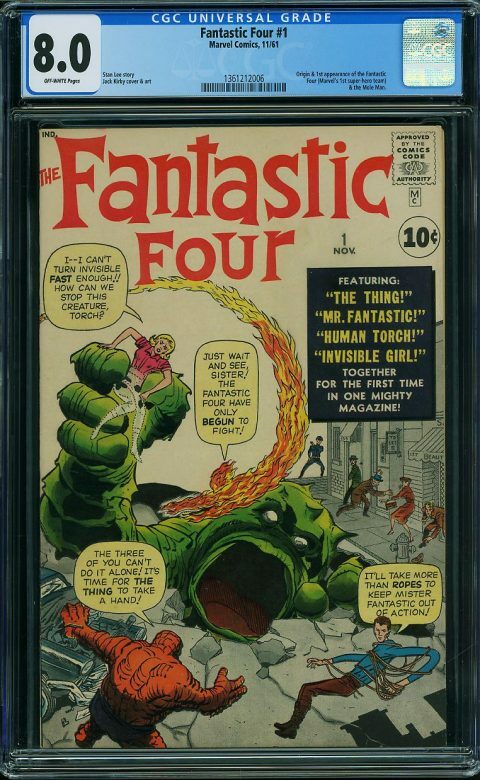 I thought the FF Annual #6 9.8 went for way too low ($3.7k)- but of course I didn’t bid higher, so maybe it was right… The lesson I would take would be to be very careful about the prices in lower grades. A 9.2 of this issue went around “current market”, which to me is too high given the demand for the 9.8. Fight Comics #12 6.5 for $1.6k – strong. 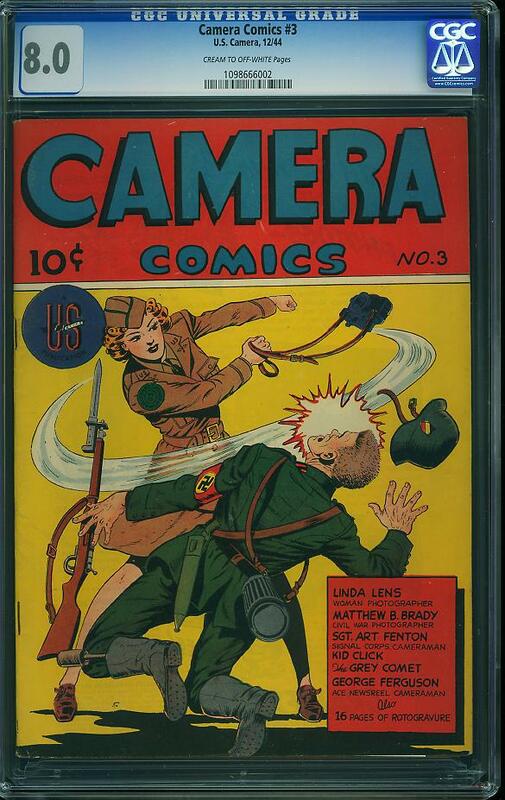 I immediately bought a lower grade copy of the scarce Fight #14 that I had already been looking at for a far lower price. Mad #1 7.0 was on my list due to the recent Undervalued Spotlight discussion, but at $2.6k it was too rich for me. 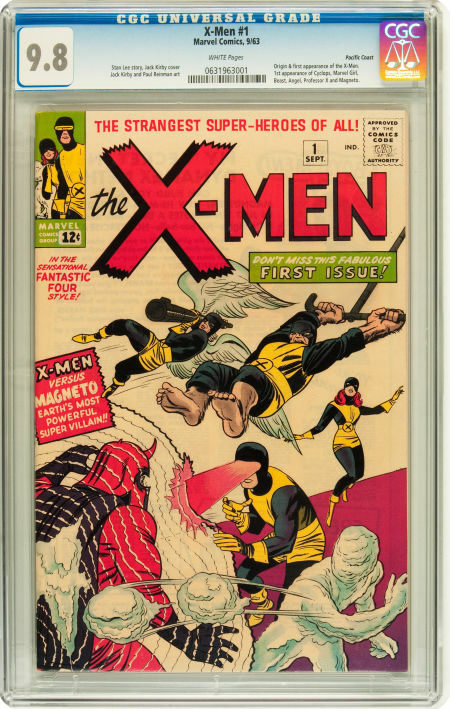 Marvel Super-Heroes #18 9.8 for $42k, when my estimate was something like $18k. I think somebody is pretty sure that a movie is coming, and it’s going to be a big one. 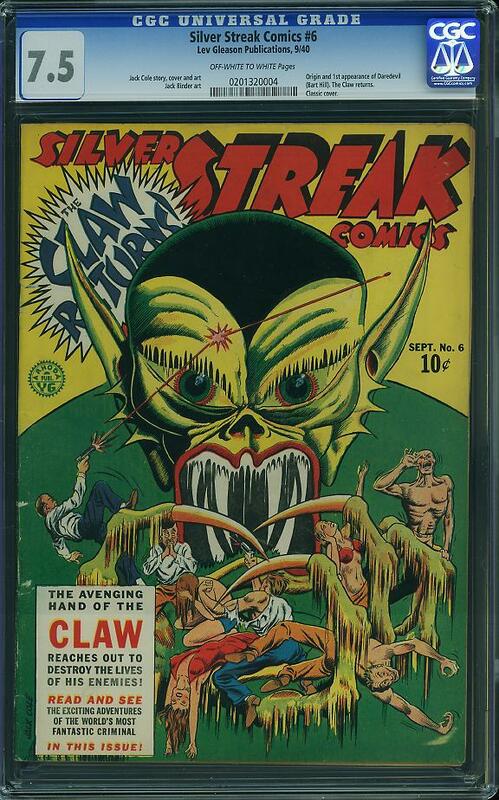 1952-53 Phantom Strangers really coming off in this auction. Not happy because I own a couple, but still with significant price cushion at the level implied by this auction. Now It Can Be Told: When you looked at Planet #46 for Undervalued Spotlight, I already had Planet #24 in sight in this auction. It has a similar theme (heroine rescues guy), I think the cover is better, and it is scarcer. However, in the meantime I bought Planet #14 and I am pretty full on Planet. I think Planet #24 went low ($917 vs. my $1.1k estimate) and may regret my decision. 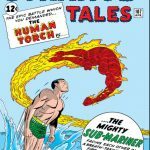 Weird Mysteries #10 7.0 $2.55k; a 5.5 (2x plentiful) sold $175 in 2016 – yow! I came away with five books that I thought were priced right, none of which is very exciting. The one that I think is questionable is Human Torch #36 7.0. This book is from the tough 1954 period and is in the top three graded (one 8.0, two 7.0s). There are a total of 27 graded, and my guess is that there are not many above 6.0 still out there. Nevertheless nobody seems to care. I am now even more overweight in GA Human Torch through the namesake title, Marvel Mystery, Men’s Adventures, Young Men, etc. but I can’t seem to help myself – these books deserve more love! Aside from books, I want to say that I find the ComicLink bidding approach both fun and irritating. The “manual snipe” requirement in some cases is like spinning the wheel of fortune, except if you fat-finger it (I missed entering at least one bid because of this), or if your internet connection lags. 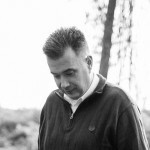 I prefer the extension format used by ComicConnect and MyComicShop, as these operational problems are much less likely to impact your result. I think some people might feel that the extension format favors sellers by squeezing out the very highest bid, but a) scholarly research suggests that this is not the case, and b) you can kind of see this in that you might have to “overbid” to get something your really want in a ComicLink auction, as you know that other bidders know that they must follow the same approach. Hey Chris, you bring up an interesting point regarding single vs group 1st appearances. It’s something that’s been on my mind ever since AF#15, Hulk#1 and TOS#39 started surging. In trying to find some justification, I was racking my head over things like movie appearance, white vs dark cover, census and general popularity. I also considered single vs group, and while there isn’t any evidence of this or a pattern that I can point to, I think the idea does have merit. However, I still have faith in group books because anyone who is interested in an AF#15 will ultimately want an FF#1 as well. It may not be top priority in terms of pecking order, but once a collector has picked up an AF#15, Hulk#1, TOS#39… I assume they will continue to move down the line and start targeting books like FF#1, X#1 till they reach the bottom of their SA want list with Av#1. I think that “scale” is an important indicator when trying to identify undervalued books. As the current performance of the FF#1 suggests, it reflects similar “like” group of books, as well as grades in the case of the 8.0. Again, no hard evidence but considering that the FF#1 was on the move prior to Fox/Disney news, it does seem to support the way things have been unfolding. I don’t think we can compare FF #1 to Avengers #1, the FF is a first appearance book while the Avengers is an ensemble book. The FF belongs up there with AF and Hulk though I will cede that none of the characters hold the weight of Spidey or Hulk. Great analysis Chris, you’ve added a lot of knowledge and insights to the post.